Synonyms: Utleria salicifolia Bedd. ex Hook.f. 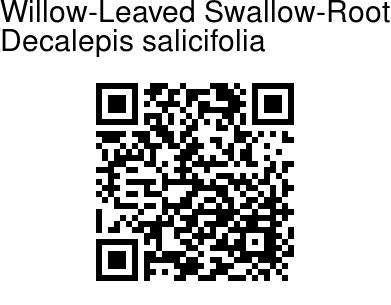 Willow-Leaved Swallow-Root is a critically endangered and endemic medicinal plant with very narrow restricted distribution. It is a subshrub. Leaves are up to 15-19 x 2-3 cm, linear-lanceshaped, tip long-pointed, base narrow, crowded at the end of branches. Leaves have wavy margins. Flowers are borne in leaf axils, in dichotomous cymes. Peduncles are 4.5-6 cm, bracts linear-lanceshaped, about 3 mm. 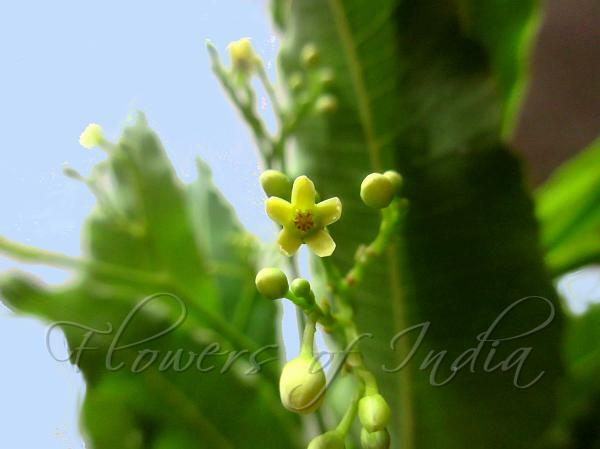 Flowers are about 6 mm across, yellow, on stalks up to 4 mm. Sepals are about 2 mm, glandular. Flowers are pinwheel-shaped, 2 mm, petals ovate, corona scales 5, rounded, stamens inserted at base of the corolla tube, anthers ovate, ovary oblong. Fruits are split into diverging, lanceshaped mericarps up to 5 cm long. Willow-Leaved Swallow-Root is found in Southern Western Ghats. Flowering: June. Identification credit: M. Saradha Photographed at Annamalai Hills, Tamilnadu.